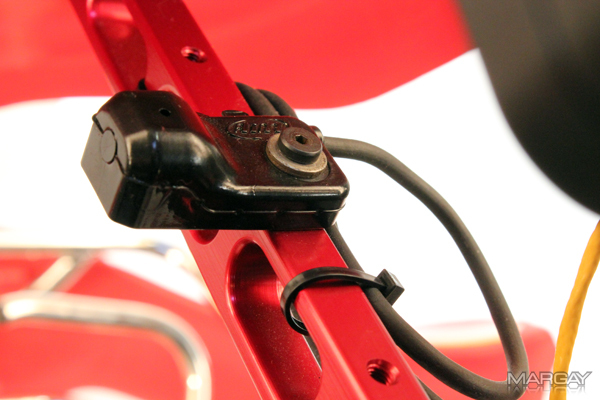 Margay Racing's new billet aluminium steering block/fairing mount/steering lock combines cutting edge technology with lightweight performance. 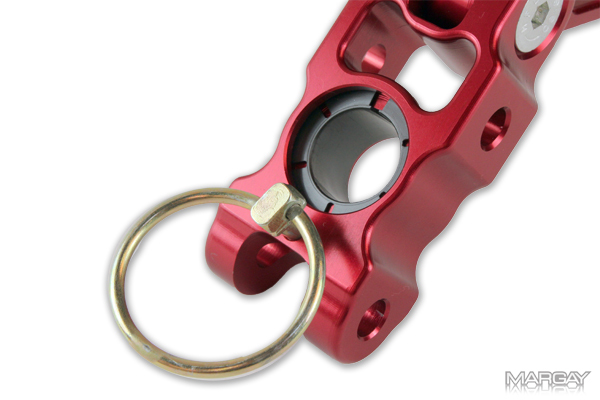 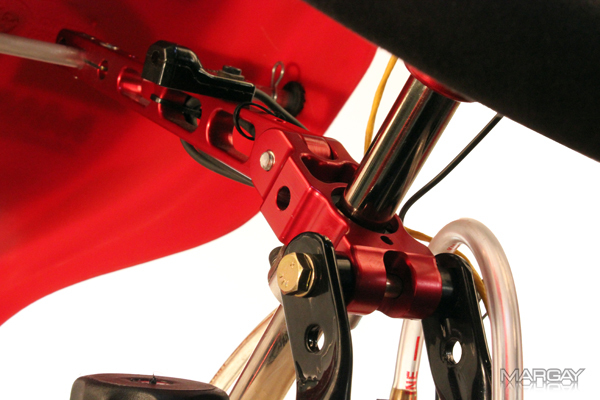 This unit replaces your traditional upper steering bushing and fairing mount and incoporates an integral steering lock that makes alignments easier and faster than ever. 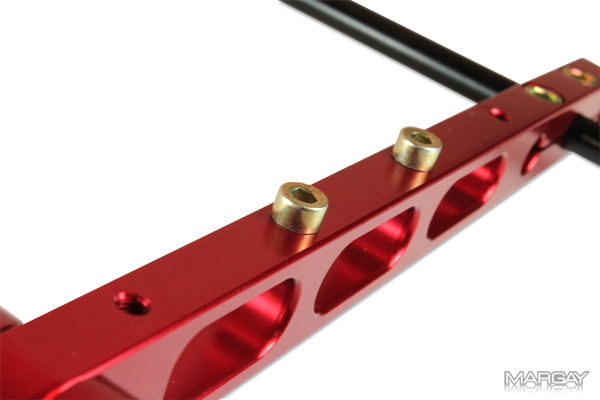 This kit is available for American manufactures (3/4") and European manufactures (20mm).